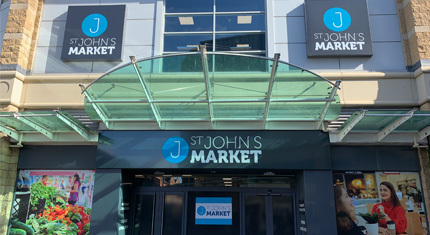 The brand new St John’s Market in Scunthorpe today opened its doors following a multi-million pound investment from North Lincolnshire Council. More than 60 traders welcomed the first customers in their modern new home. On the ground floor there is a variety of butchers, greengrocers, fishmongers and bakers, as well as jewellery, accessories, toys, books, music and hairdressers. The Food Court is located on the first floor selling everything from paninis and Indian food to desserts and alcohol. It has a large communal area for eating, drinking and socialising. A range of stalls can also be found on the first floor including fashion, homeware, cosmetics, sweets, accessories and babywear – plus much more. 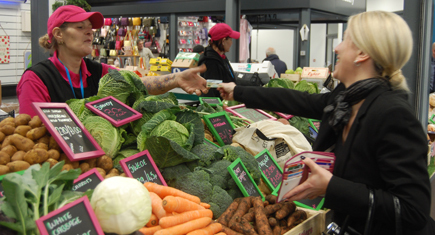 St John’s Market is open Tuesday to Saturday from 8am to 5pm. The Food Court is open Monday to Saturday from 8am to late. Free Wi-Fi is available in the new market and free public toilets, which replace the existing public facilities at the bottom of the high street. 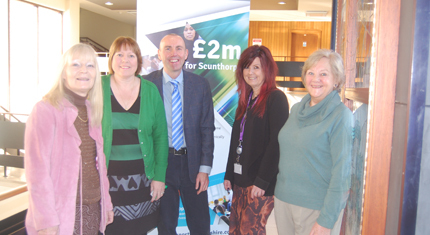 North Lincolnshire Council secured nearly £4m from Greater Lincolnshire LEP for Scunthorpe town centre infrastructure improvements including acquisition of St John’s Market new building. “I am delighted to see St John’s Market open today. The whole markets team have been working tirelessly over the past few months to get to this point. It looks fantastic and offers a completely different shopping experience for visitors. “I am really pleased the market is open. I love my stall; it’s in a fantastic position. The feedback I’ve had from my customers so far has been brilliant. The Greater Lincolnshire LEP was set up in 2010 and works with businesses and local authorities to develop and grow Greater Lincolnshire’s diverse economy. It is a public / private partnership led by the private sector. It works with central government and the private sector to invest in infrastructure, skills, innovation and productivity. More than 100 businesses are involved in its strategies, and 80 business people sit on its boards. The LEP has an ambitious and balanced strategic economic growth plan for Greater Lincolnshire. • The LEP’s six priority sectors are agri-food, the visitor economy, manufacturing, logistics, health and care and low-carbon energy. The LEP has invested £307 million in local economic growth schemes in Greater Lincolnshire since 2014. The Greater Lincolnshire LEP covers an area including North Lincolnshire, North East Lincolnshire and the administrative county of Lincolnshire and is led by a LEP board made up of leading figures in the public and private sector. 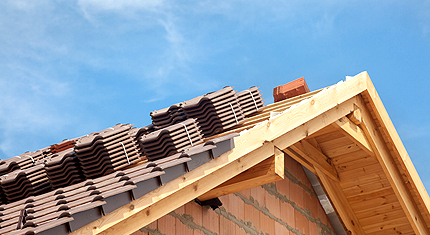 To find out more visit www.greaterlincolnshirelep.co.uk or follow the LEP on Twitter: @greaterlincslep. 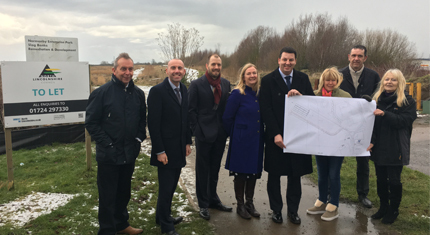 LEPs are investing in a wide range of projects including transport, skills, business support, broadband, innovation and flood defences. The Northern Powerhouse is a key aspect of this Government’s approach to addressing the productivity gap in the North and ensuring a stronger, more sustainable economy for all parts of the UK. The government has awarded £3.4bn in three rounds of Growth Deals across the Northern Powerhouse.